Recently I observed something so sweet I just had to share it! We have a backyard bird feeder, designed especially for the smaller songbirds, and, not surprisingly, finches, sparrows and other small birds come daily in droves to enjoy its contents of seeds and small nuts. I was standing by our glass door watching, when a small sparrow flew to the porch and just sat there for a moment. Soon another larger sparrow, apparently its mother, flew up to the little bird, who opened its mouth widely, and deposited some seed acquired from the bird feeder in its little mouth! This happened several times and I have observed the same thing with finches, as well. The Father gave me an object lesson while I observed the sparrows and the lilies. It went something like this: If God is concerned about a little minute sparrow, one of several trillion birds in the world, and the lovely lilies growing so spectacularly in a pageant of splendor, not to mention the countless doves that have made our backyard home, cooing and chasing each other around the terrace, will He not care for me and my needs and desires? Does He not know what I need before I ask? Does He not see each crisis, not only in my own life, but in the world in general? Does He not have everything under His control and is He not aware of the evil that seems to dominate this world until His Son, Jesus, comes again to take us to be with Him forever? Well, I was humbled and repented of ever worrying about anything! Years ago I had a nationally syndicated TV program of music, praise and worship, and special guests. I interviewed a lady who had actually died while on the delivery table in childbirth, during which time her spirit actually left her body and entered into Heaven for a brief time. During this awesome experience, she related how she actually saw Jesus and was unable to stand in His presence, bowing before Him in adoration and worship! The one thing I vividly remember from the interview, were her words: “All I could think about in His presence was, ‘Oh, why did I worry so much about everything when I was on earth? Now none of it matters!’ ” Although the Lord was not ready for her to die permanently and be with Him forever, returning her spirit to her body and helping her deliver a healthy baby, this experience changed her life dramatically. So, why do we worry about everything? As the beloved song says, “His eye is on the sparrow and I know He’s watching me!” Even as I write this article, I hear the sparrows, finches and other songbirds glorifying God with their chirps, warbles and trills. It gives me great comfort and a sense of security to know that God has everything under control, particularly the things concerning me personally. I know the world is in tremendous chaos, that the financial markets worldwide are crumbling; governments throughout the world are corrupt as evil men and women defy God and His Word by propagating their own agendas; that rulings and laws designed to promote secularism and progressive ideologies are completely contrary to the way God has designed for humanity to live. However, I know that only with a “heart change” on the inside can men and women truly live according to God’s law and plan for us! This can only be accomplished by preaching the Gospel of Jesus Christ, who is the only way to salvation, “the way, and the truth, and the life. No one comes to the Father except through me.” (John 14;6, NKJV) Contrary to popular opinion, there are not many roads or ways to salvation, only One Way, Jesus Christ! This pretty much sums up the reason I am not worried about the future as long as I am serving my Lord and Savior, Jesus Christ! He will keep those who love Him from the Enemy who is out to get them, and bring us all safely home! 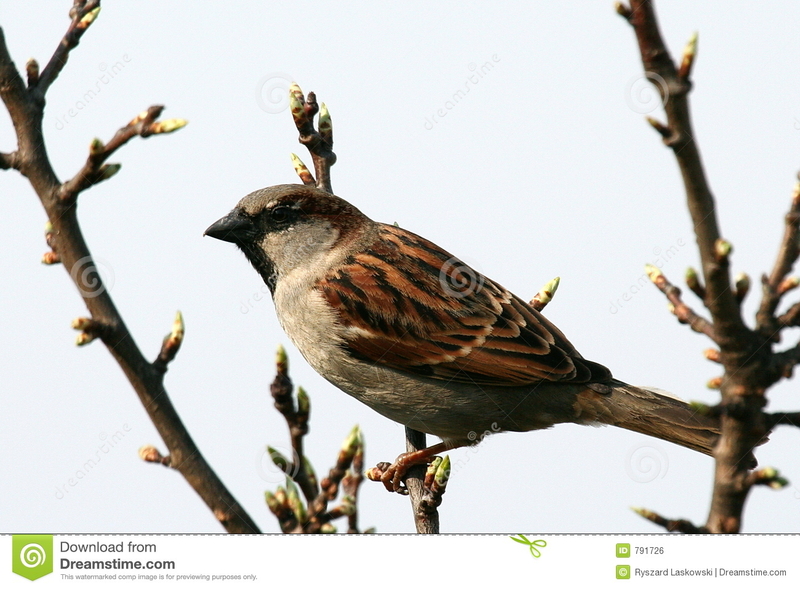 Next time you are tempted to worry, just sing “His Eye Is On the Sparrow” and know He really is watching over you!